This scam may come through the phone, e-mail, or at the door. The “charity” representative uses an official sounding charity name. They make a plea for you to donate some money to help their charity. They often start with a higher amount and say you don’t have to pay now but they will send out a card in the mail for you to pay. 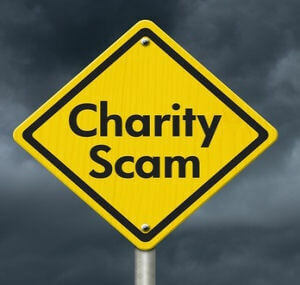 These charities are usually not legitimate.